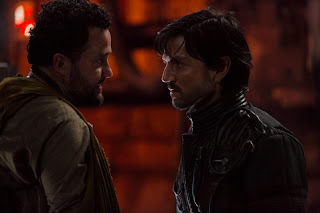 Remember my past postings and stories to advise Cassian against marrying Brianna whose parents were forcing him to choose their daughter? Well, I was told by his good friend that Brianna got married to someone else last Saturday. Aha! Seems like Brianna was so 'sincere' in wanting to marry Cassian that she immediately bailed out when his parents rejected her, and married her next 'victim'. Cassian, I told you so! Some say, it's not fated for Cassian and Brianna to be united. True, but we are free to decide and make our choices. I am thankful and happy that the Force is protecting Cassian against the family Sidious. May the Force guide us to the right path.